It is better than taking out a loan from a payday loan company. Social lending is also referred to as Peer to Peer lending or P2P lending. If you are in need of an emergency personal loan, you can take out such a loan from a social lending website. It is better than taking out a loan from a payday loan company. Social lending is also referred to as Peer to Peer lending or P2P lending. It can be defined as a type of financial transaction between individuals without the involvement of traditional financial institutions. 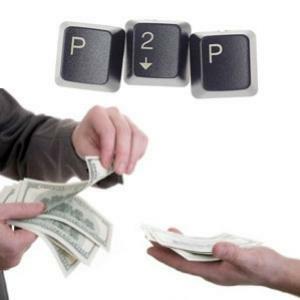 P2P lending is actually an online marketplace where one individual can obtain loan from another person. You can go through this article to know about peer to peer lending in details along with its advantages. There are several benefits of taking out an emergency loan from a social lending website instead of obtaining a loan from a bank or any other financial institutions. The benefits of taking out a loan from a social lending website are given below. It is relatively simpler to apply – You can obtain a loan relatively faster when you take recourse to social lending websites. All you have to do is choose a peer to peer lending website and fill out an online form wherein you need to give out some of your personal details. Usually you need to give out your name, date of birth, driving license details along with your SSN (Social Security Number). A social lending website may also ask for your credit score, too. The interest rate is relatively low – One of the major advantages of taking out loans from social lending websites is that the rate of interest is relatively low. This is because when you obtain a loan from a social lending website, the rate of interest is decided by you, the borrower and the lender, and the rate usually do not exceed 10%. This rate is normally lower than the interest rate charged by a bank, a payday loan company or a credit card company. You can raise your credit score – One of the best advantages to take out such a loan is that the social lending websites report your on-time payments to the credit bureaus. Therefore, it actually helps you in increasing your credit score. However, if you take out a loan from a social lending website, make sure you are making your payments on time, in order to make sure that it is affecting your credit report positively. Inquiries usually don't affect your creditworthiness – You must be aware of the fact that a lot of hard inquiries affect your credit score negatively. This happens when you apply for loans and the financial institutions check your credit report in order to be sure whether or not to grant your loan request; and, if they are willing to offer you the loan, then at what terms and conditions. However, do you know that when you apply for a loan through a social lending website, it doesn't show up in your credit reports, initially? It only shows up in your credit reports when you are offered such a loan and you accept it. Therefore, you have the liberty of applying for such a loan to as many social lending websites as you want. It is quite natural that the next time you need an emergency loan, you might take recourse to a social lending website. However, before giving out your personal information to such a website, make sure that it is a reliable one. Doing so, you can keep your online and personal identity safe and secured. You can also ask for referrals from your friends and/or relatives who have already taken out a loan from a social lending website. It will help you choose a reliable social lending organization, which in turn, will help you manage your emergency financial situation. Also, make sure you pay back the loan on time so that it helps you add a positive information in your credit report and help you maintain or improve your credit score.